Shopping for kids can be especially tricky these days – it seems like they already have everything!! My favorite website for unique gifts is Etsy. Their tagline is “If it’s handcrafted, vintage, custom, or unique, it’s on Etsy.” Completely true, they have such great gifts you won’t be worried that the recipient already has it. I’ve talked about them before…. My daughter’s teddy bear made from her newborn onesie is one of my favorite things I’ve gotten from Etsy. 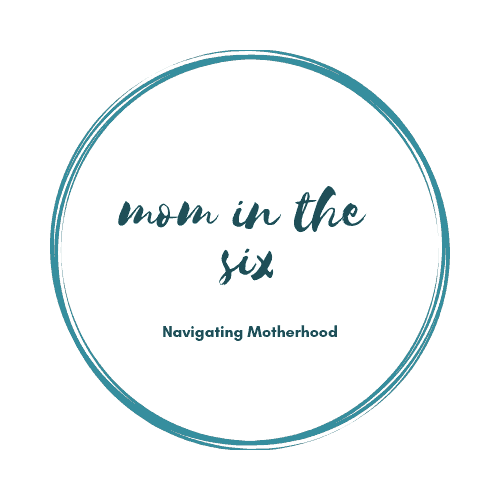 I included it in my list of Best Sentimental Gifts for Baby’s First Birthday – you can check it out here. These are almost too beautiful to use! Great as a stocking stuffer too. Melamine Plate Set. Choose between a plate, cup and bowl and add on a placemat if you like. Perfect for the little lady in your life. 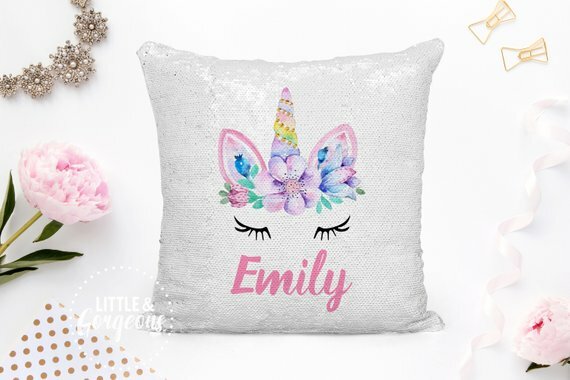 Move the sequins up and it looks like a regular pillow, swipe again and the name and design appear! Pick the name and then customize the colors and animals. Pretty enough to be room decor as well as little game. Choose from 20 different animals and add the child’s name in any colour you wish. Pick which story you like and they will add the name to personalize it. Keep track of their growth with this beautiful and customizable growth chart. Pick from lots of colors and patterns. You know this will be a favorite every Christmas! Please share which personalized gifts are your favorite!